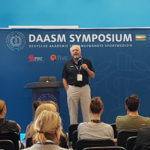 It consists of a platform with a changeable inclination in both positive and negative sense so that allows a greater variety of exercises to expand the eccentric and concentric phase without having to assume an uncomfortable posture. 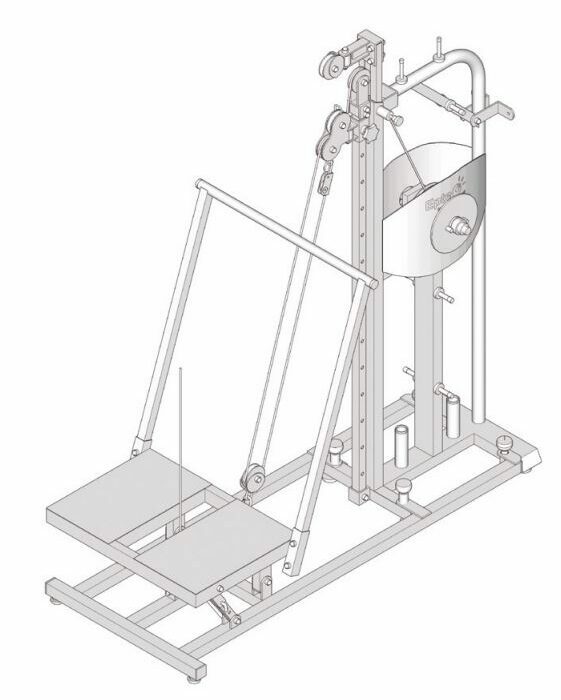 This complement has two pulleys to exert force from the bottom as well as a bar to provide more stability to the exercise. Therapeutic Inertial Squat Component is designed to be anchored to EPTE® Inertial Concept and has accessories such as a harness and a gym belt that facilitate and enhance the inertial training. 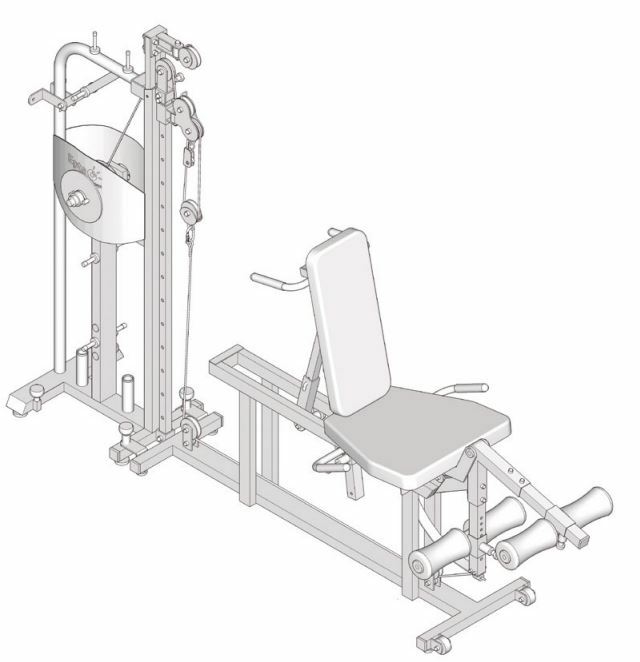 It consists of a bench that allows inertial exercise from different positions by changing the position of the backrest and the tilt of the bench. Therapeutic Inertial Leg Curl Component is designed to be anchored to EPTE® Inertial Concept and comes with grips or handles for more specific work force. All pulleys are designed to enhance the effectiveness of functional training with EPTE® Inertial Concept. It consists of a bench with a minimal inclination that allows it to slide on the entire surface of its scrolling base. 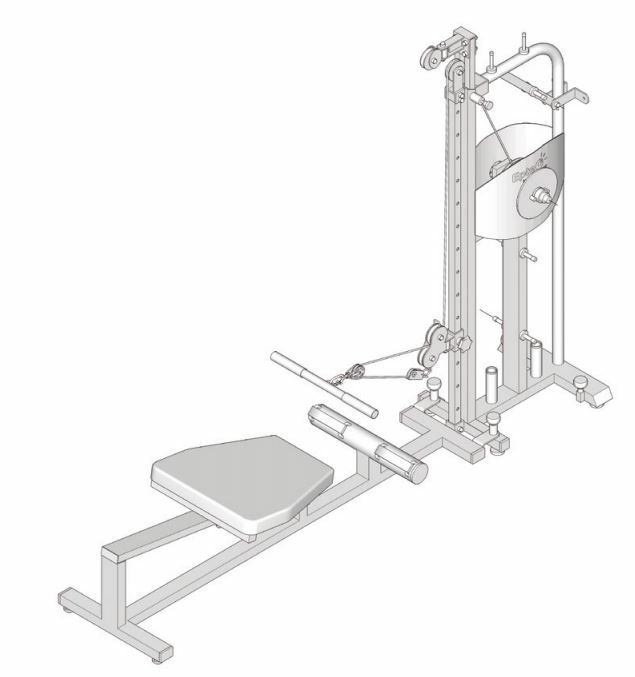 This versatility facilitates and enhances inertial training and the eccentric and concentric phase of the exercise.